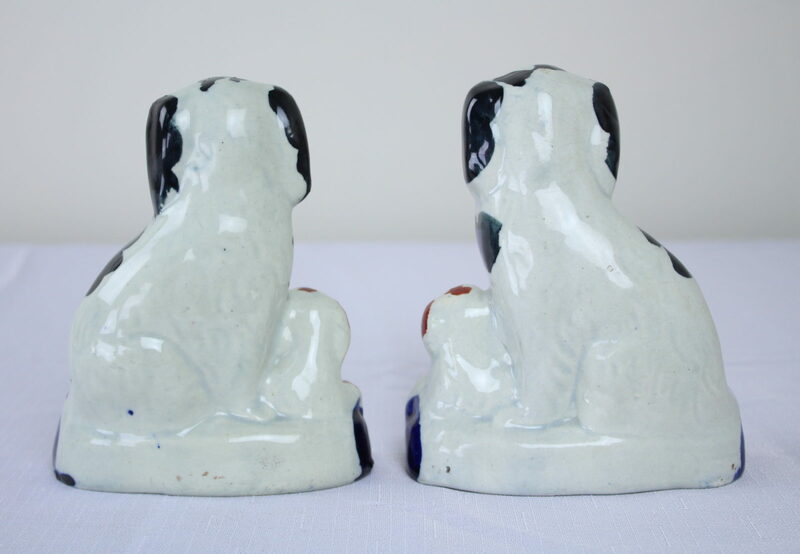 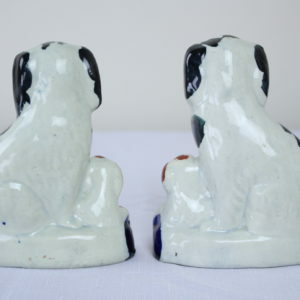 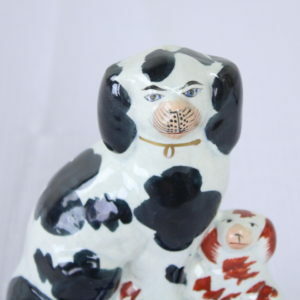 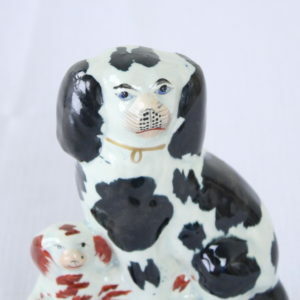 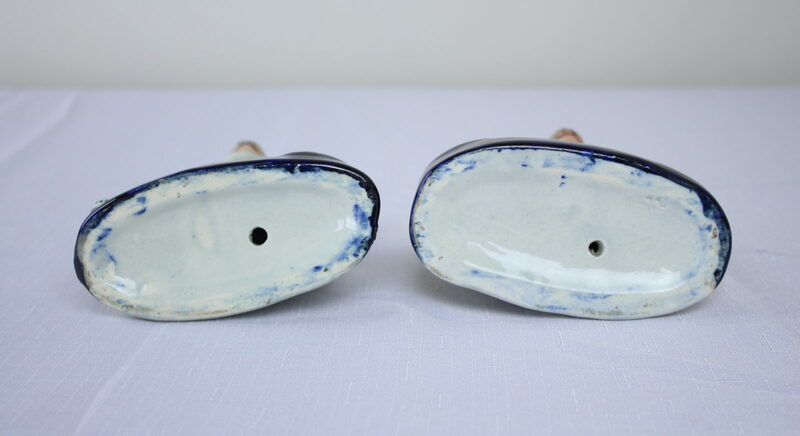 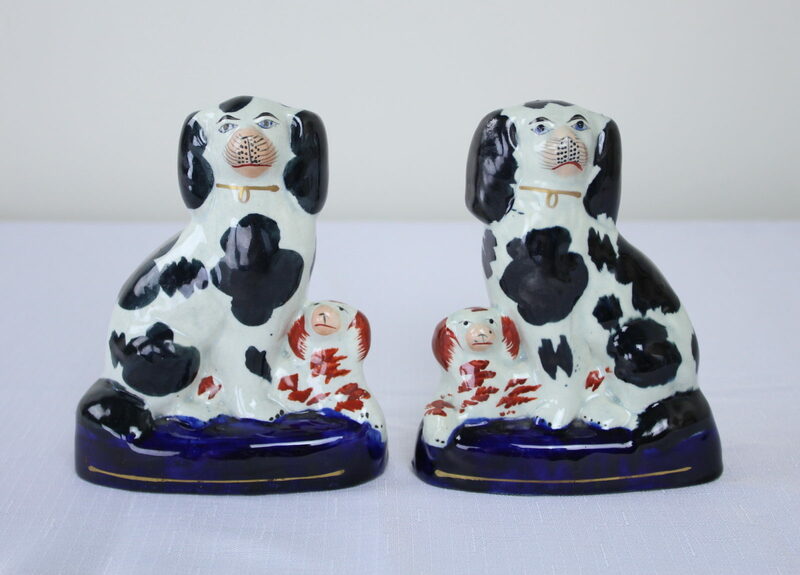 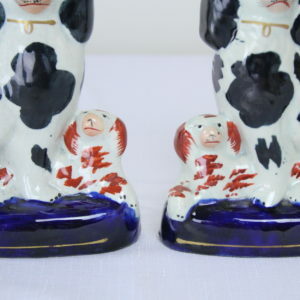 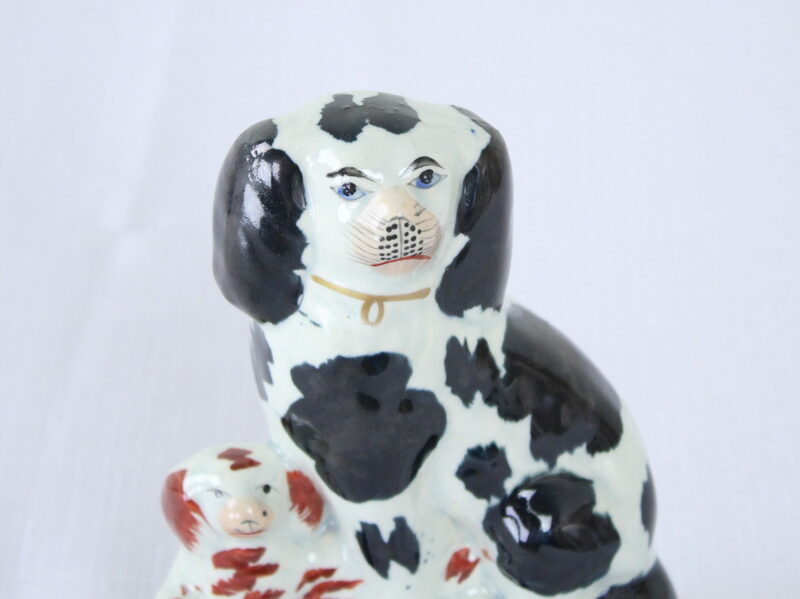 A small charming pair of decorative dogs from the late 19th century English potteries. 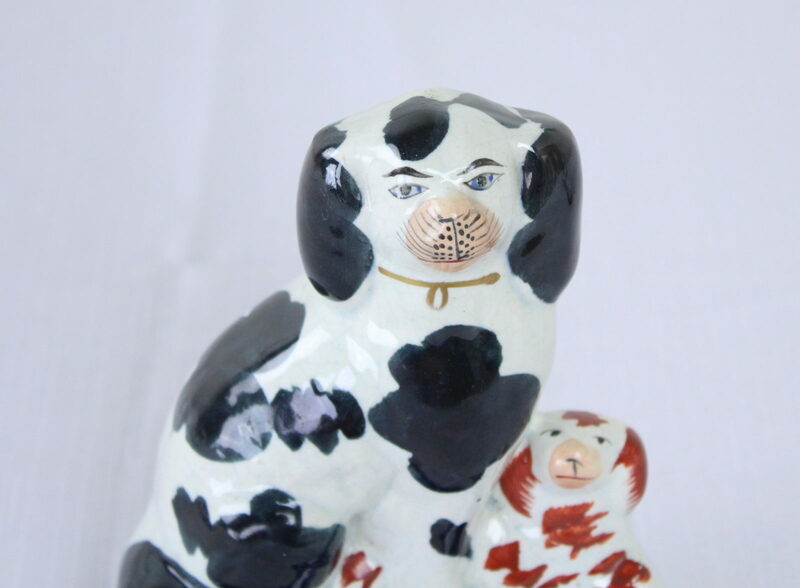 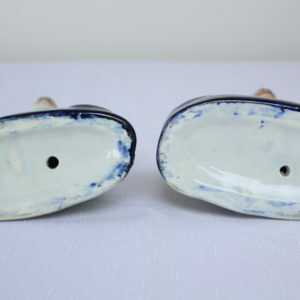 hand-painted, with subtle differences in the faces and spots. 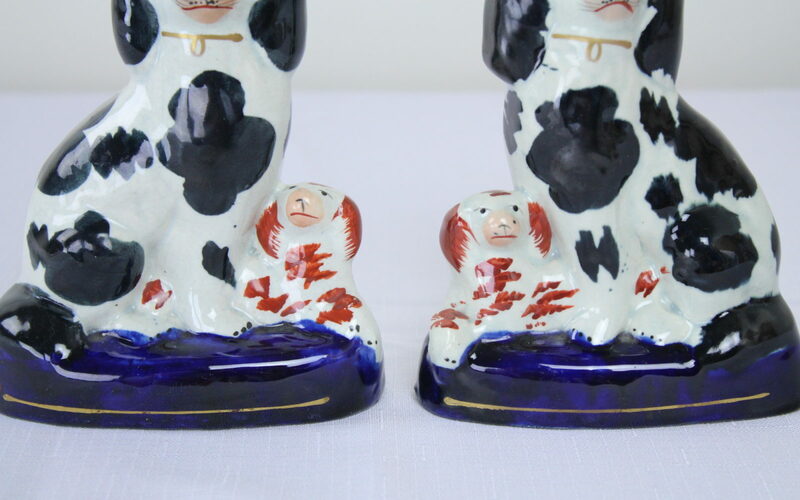 Highly decorative but no stamp or obvious markings on the bottom.